As mentioned above, VRX has been struggling in the market for quite some time now, and for good reason. You see, the company had a relationship with a pharmacy known as Philidor. However, the relationship wasn’t a positive one. In fact, it was uncovered that VRX was using its relationship with Philidor in order to fudge the numbers and make their company look like it was doing better than expected. 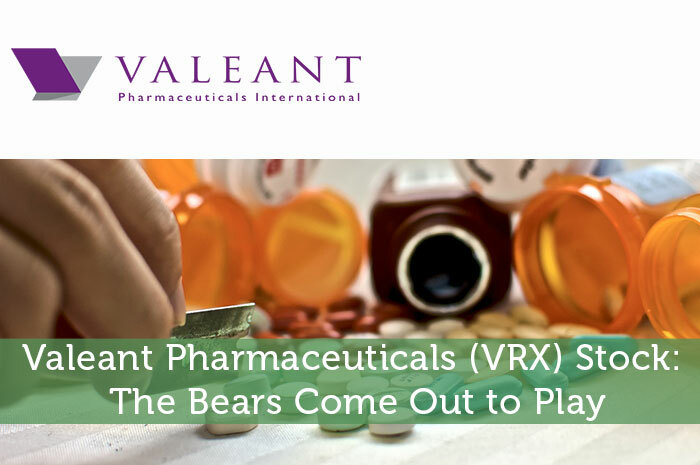 The story started when an analyst firm known as Citron announced that it had done a thorough investigation of Valeant and that things simply weren’t adding up. In their report, Citron called VRX the Enron of the pharmaceutical industry. While no one wanted to believe it, the proof was in the pudding, Valeant had been lying to its shareholders, and that didn’t bode very well. As a result, the company has been forced to make some big changes. The first of which was canceling the agreement it had with Philidor. Walgreens – When VRX cancelled its agreement with Philidor, investors cheered. However, there was some bad. The reality is that Philidor was Valeant’s biggest customer. So, canceling the agreement meant a big decline in sales. However, shortly after the cancellation, VRX signed a big deal with Walgreens, and that deal has helped to push the company’s sales back upward! CEO Changes – The CEO of any company is the ultimate reason things happen, good and bad. So, the Philidor scandal fell largely on the shoulders of the company’s CEO. As a result, it was announced that the CEO would be resigning. At the moment, VRX is in the midst of a search for a new leader. Board Changes – Since the Philidor issue, VRX has made several changes to management. This included changes to its board of directors. In fact, the company has made a couple of additions to its Board. Since the Philidor scandal, VRX has fallen in a big way, giving up more than 70% of its share price. However, since the scandal, we’ve seen a ton of positive changes from the company. In fact, VRX recently announced that it is very close to finding its new CEO. At this point, I believe that investors are starting to see that Valeant is doing things the right way and that the declines we saw on the stock are now presenting a strong opportunity. This is leading to momentous gains for the stock. In fact, currently (11:31), VRX is trading at $35.82 per share after a gain of $2.47 per share or 7.41% thus far today. All in all, things are starting to look up for the stock.